DME is the best alternative fuel that readily addresses the many issues associated with the ongoing use of diesel fuel. 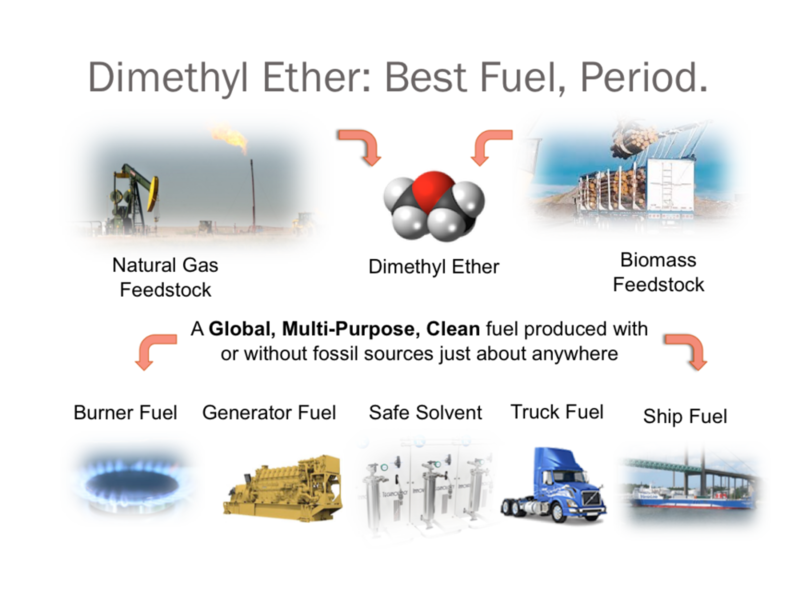 DME is readily synthesized from abundant natural gas and biomass feedstock using well-established chemical processes. DME is benign, evaporates after a spill, burns smoke free with no sulfur and reduced nitrous oxide and generates 1-2 liters of water for each liter of fuel produced. European and North American governments have made the reduction of CO2 emissions, air pollution (NOx emissions) and particulate matter (PM) a high priority.